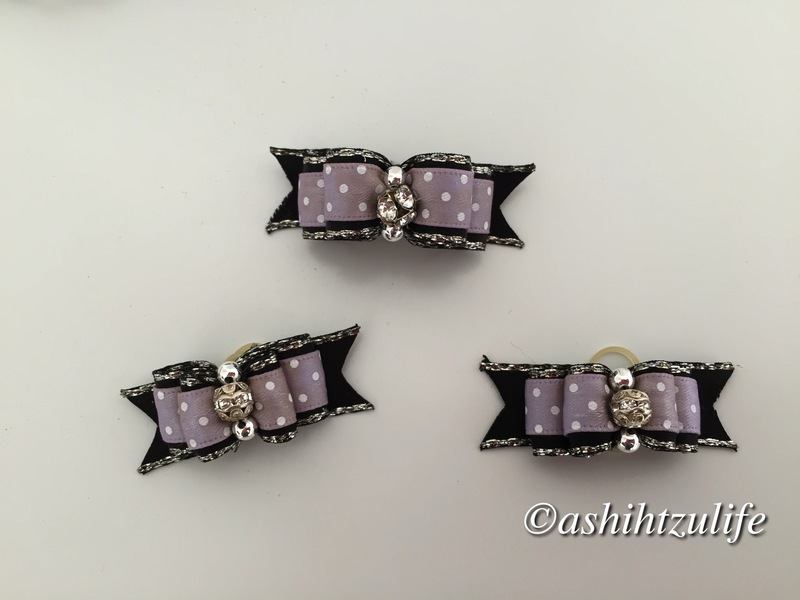 It is not just myself that is making bows! My mum is too, she made these lovely bows for Pixie. The one and the top is the bigger one for a normal top knot, the bottom two are for piggies or top knots. They match the colour of her collar and lead. We are very excited to try these out in her hair….when it grows that is. My mum made Roxy these stunning bows that match the colour of her collar and lead. Again we have the one at the top for a normal top knot as it is bigger and the two smaller ones for piggies or a top knot! This colour goes well with the black glitter ribbon and is stunning next to the colour of her hair! 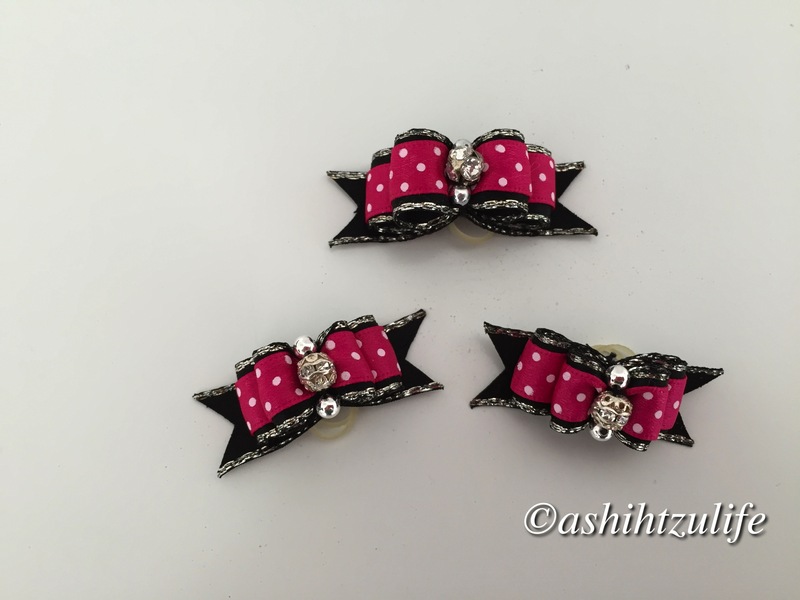 We cannot wait for her to try these bows in. I wish her hair would grow now!